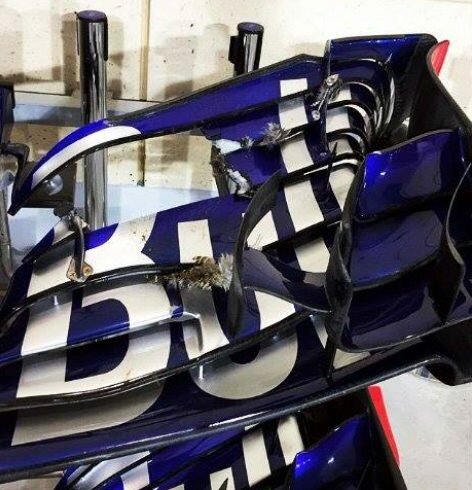 This is awful for Mclaren. The Honda engine is clearly performing well. That cannot be denied at this point. Last edited by F1nut on Sat Apr 07, 2018 4:11 pm, edited 2 times in total. Or Gasly is better than Alonso! Vettel should have this pole. Only a mistake didn't give him the provisional. Wow what is going on with Kimi so far this year? His pace is for real! Honda best of the rest indeed. Hamilton 9th, Gasly 5th etc. Something I did not expect to be written this season. Toro Rosso only 1 second behind Red Bull is seriously impressive IMO. If overtaking is still really difficult like it was in Australia, Bottas just needs a better start than the Ferrari's and that may allow him to win if the pit stops go well. But I do think Ferrari will be stronger tomorrow. Anyhow, this is a really good turn around by Bottas. I do think he outperformed Hamilton this time, although very little in it. Massive performance by Gasly, awesome! Will keep an eye on the kid, he performed well today! Maybe Honda has turned the corner! McLaren a bit exposed today! It's probably not a chassis thing. It's clear that straight line speed is their strength. They have been extremely fast through the traps in both races and they have been much more competitive at this power circuit than they were at Melbourne. The Honda engine seems pretty good. Hard to believe I know and it's likely that the qualifying performance of the engine is superior to the sustainable race performance but so far so good. I'm calling a RBR works deal for the near future. I will need a few more races before I fall for the hype. Haas looked like world beaters in Australia, couldn't get one of their drivers out of Q1 this time. They're only one of 4 teams with a full chassis dyno which means testing 24/7. It's absolutely a chassis thing, it's a slippy one alright. Peak power was getting ok for Honda after Monza and Alo was usually in Q3 but it's efficiency and reliability was where they still lack. Obviously Honda are still improving no argument there but that STR is slick in a straight line, it's been evident since winter testing and this track suits it. Not a fluke, just suits them down to the ground. Opposite of McLaren which seems to have the aero efficiency of a London Bus, at least around here. Imagine what they could do with a Mercedes engine? Dunno, but I can hardly wait for the Monza race, and already wishing it's a wet weekend! Honda's best qualifying position in the Hybrid era. Last edited by Mercedes-Benz on Sat Apr 07, 2018 4:52 pm, edited 2 times in total. Honda's best dry qualifying position in the Hybrid era. Straight line speed that they blamed entirely on the Honda engine last year. I was just repeating what I heard, I wouldn't have a clue myself. This just shows what an over reaction there was to Australian qualifying, unfair party mode etc. Tale of two cars/drivers for sure. At what point though wasn't it? They didn't have full ers deployment until Monza for example so for x amount of seconds a lap they lost all ers support. That's not a chassis issue. Trimming it out and getting 4-5kph extra wouldn't have changed much and if they'd have lost more in the corners than they gained on the straight it would be a net loss so why do it? At this point it's obvious Hamilton put in a ferocious lap in qualifying there while Vettel wasn't particularly comfortable all weekend. Nothing new in this forum. Even last year we had several posters acting like the Mercedes was still at 2014 levels of dominance. People are slow to take in new information. Nah having really low drag is a big factor but you need power too. I know it hurts man but you have to admit that the Honda unit has performed well both in terms of power and reliability so far. I'm not saying it's the best but give them some credit man.